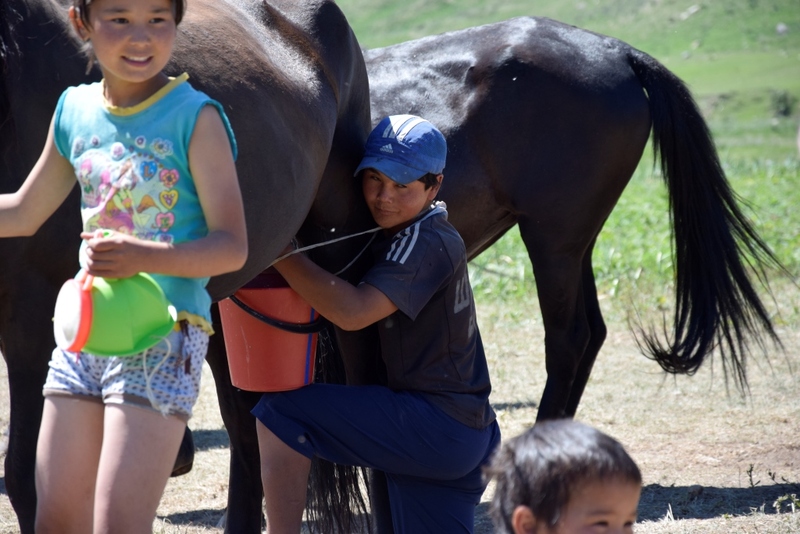 Just returned from an amazing trip to Kyrgyzstan. I participated on a summer school for students from the University of Tromsø (UiT) and the American University of Central Asia (AUCA). 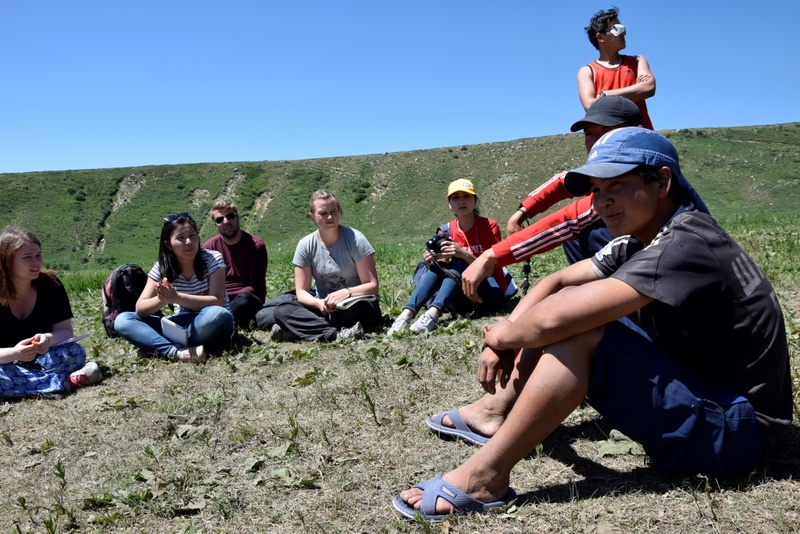 The summer school–called “A Comparative Perspective on Cultural Ecology and Nomadic Life in Central Asia and Norway”–was arranged by the Department of Anthropology at AUCA and Centre for peace studies at UiT (I gave a talk that you can find here). 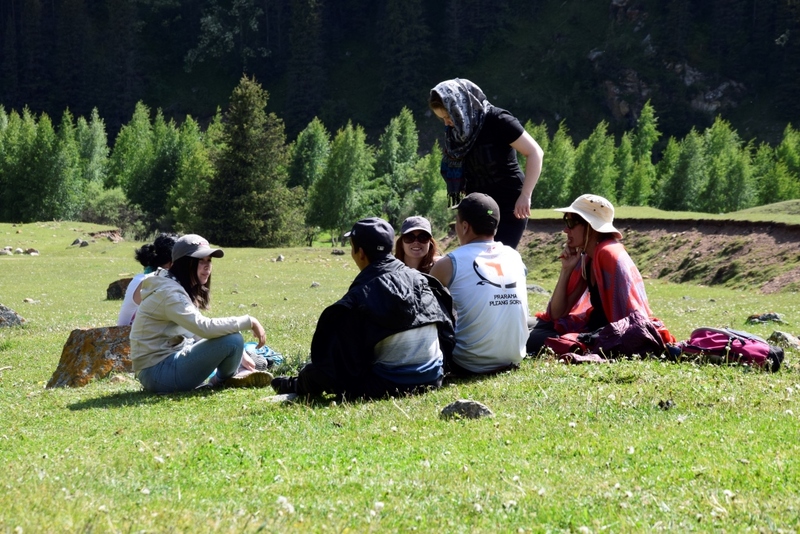 We spent most of our time in Issyk Kul with talks and fieldwork assignments for the students. 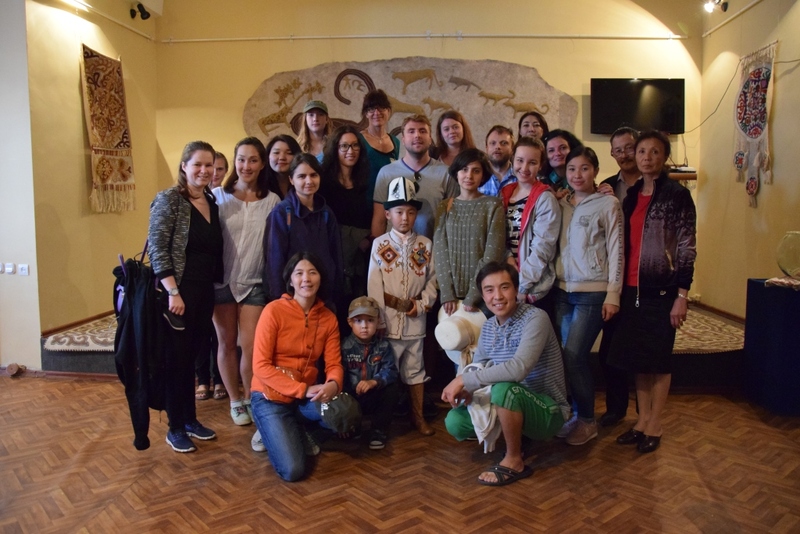 Group photo with students, teachers and Manas story-teller at the museum in Cholpon-Ata. 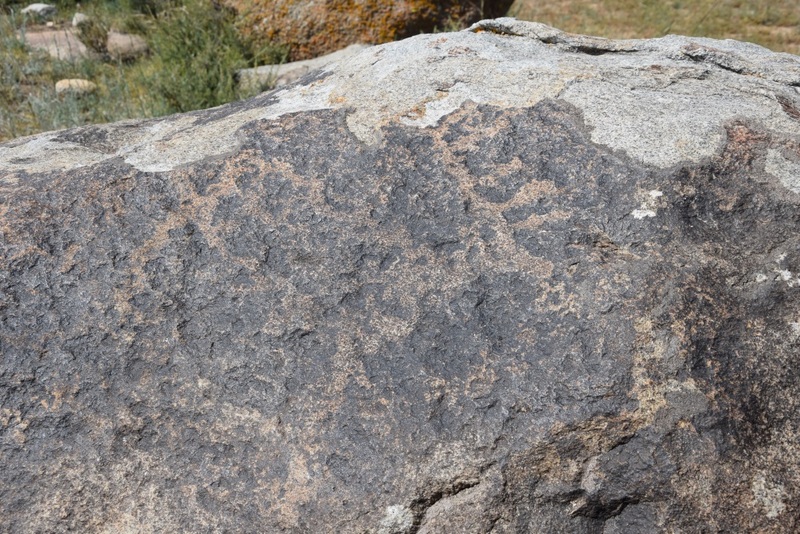 Reindeer rock art at the Rock Art sites of Cholpon Ata. 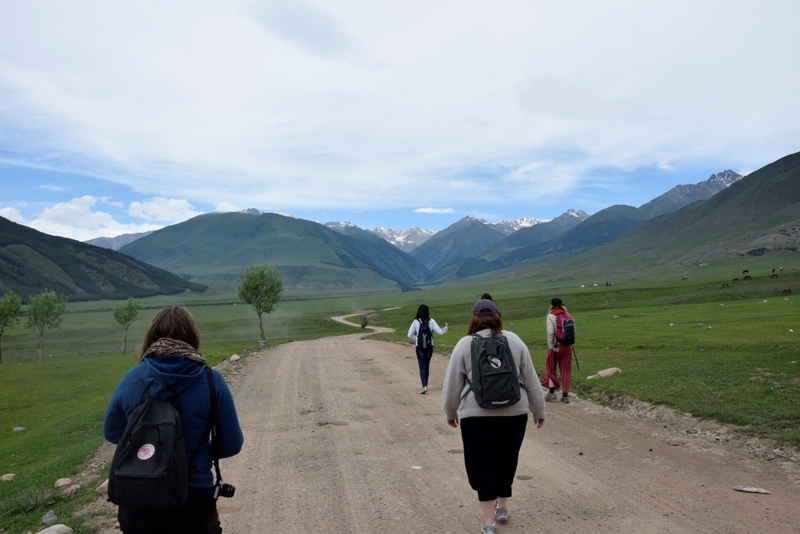 Being interested in nomadic pastoralism, we went out to look for Kyrgyz nomads 3 days in row as part of training student in doing anthropological fieldwork. The nomads turned out to be more elusive than I originally thought: we visited 3 valleys and most of the people we talked to were actually hired shepherds. Very few had animals of their own–if they did they owned very few animals. A herder milking a horse. One of the beautiful valleys we visited during the fieldwork assignments. 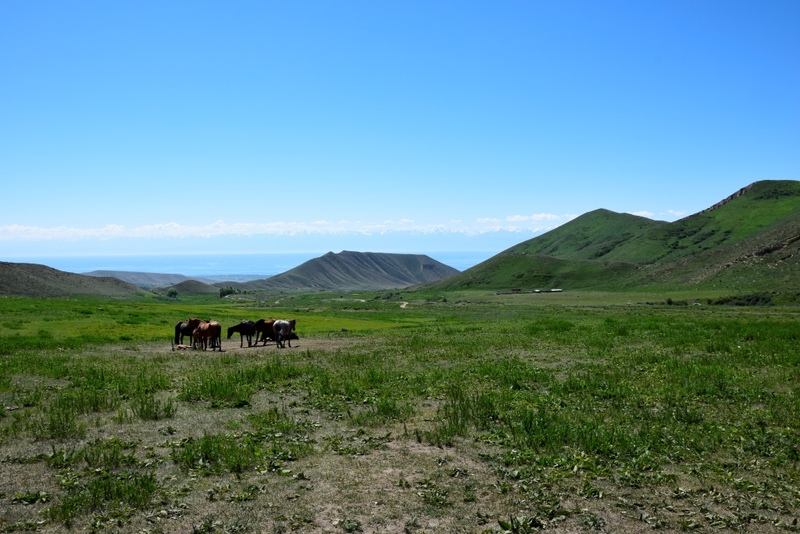 Issyk Kul is in the background. 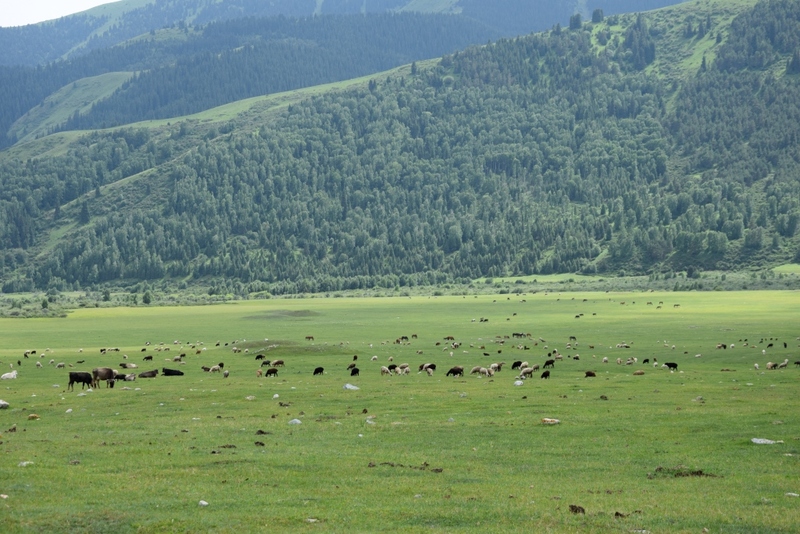 The herders we talked to had mainly sheep, cattle and horses. Only a few goats were observed. 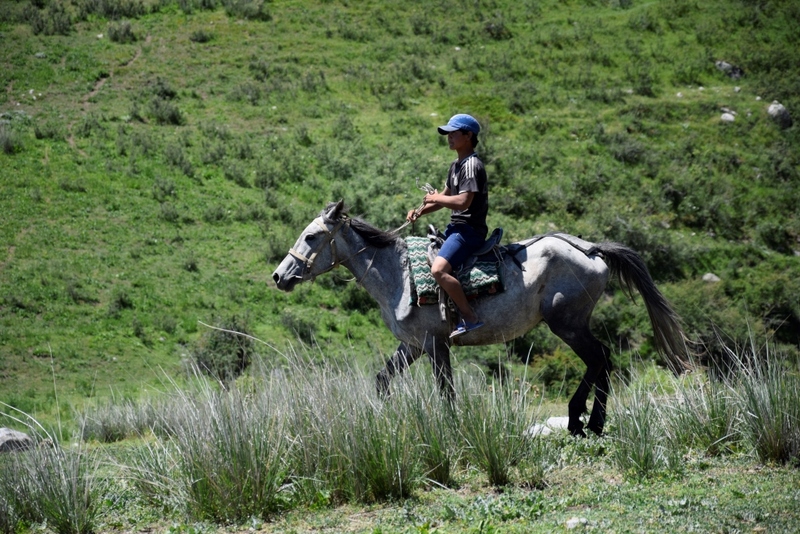 The daily herding is mainly done with the help of horses. 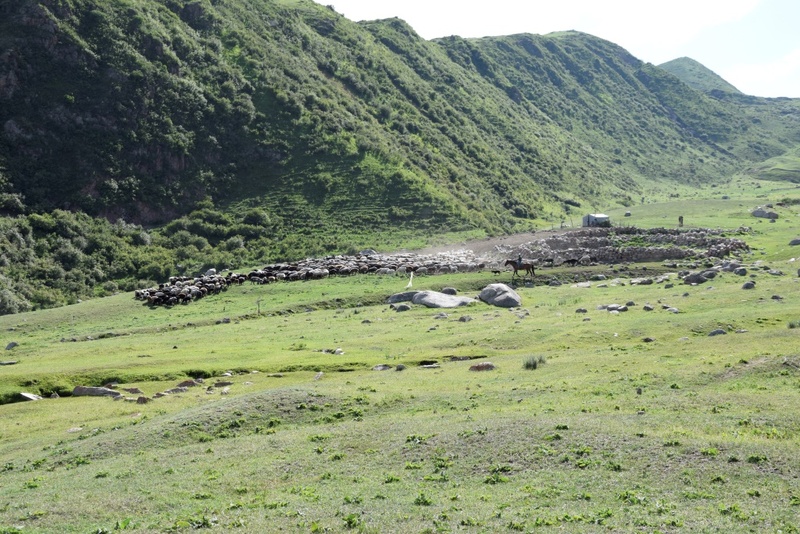 The animals graze on the mountain sides during the day, but are brought back to the camps in the evening. Herding animals back to camp. Returning to camp for the night. Walking to another household for an interview. The students did an amazing job with the interviews. To sum up, it was a really cool trip and I would very much like to go back to do some more research. 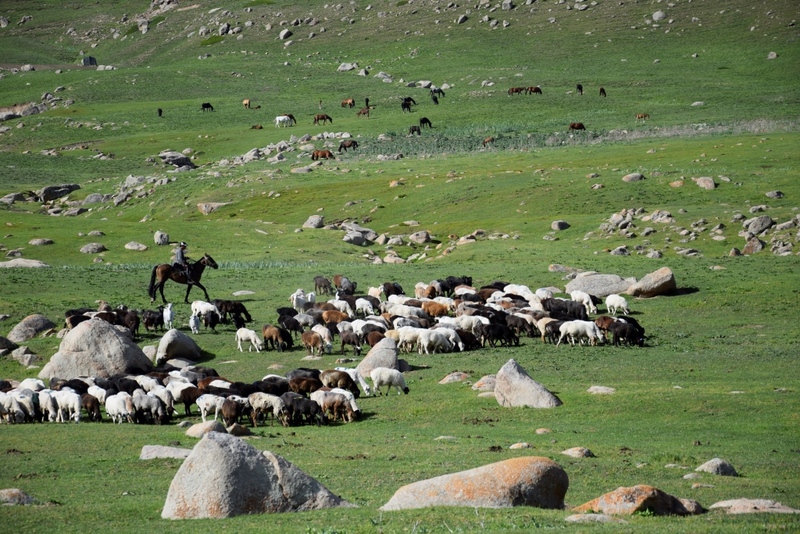 Next postMarket economy vs. risk management: how do nomadic pastoralists respond to increasing meat prices?